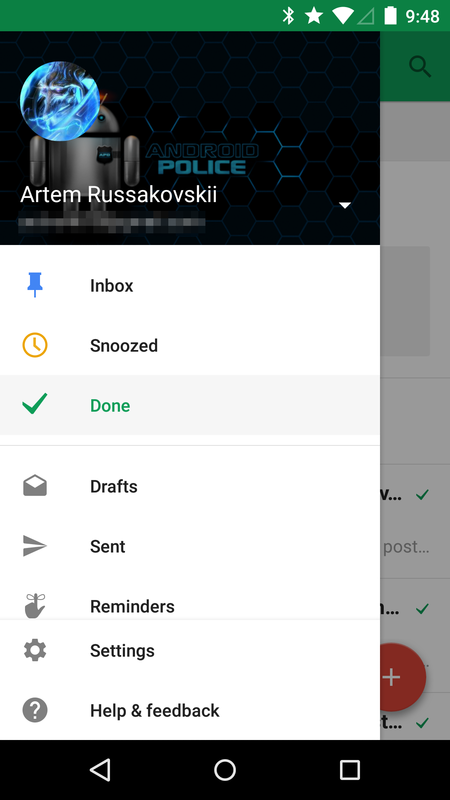 Google Inbox has been available for only a week, and Google is already tweaking the Android app. Not much, of course - sweeping changes don't come that fast. 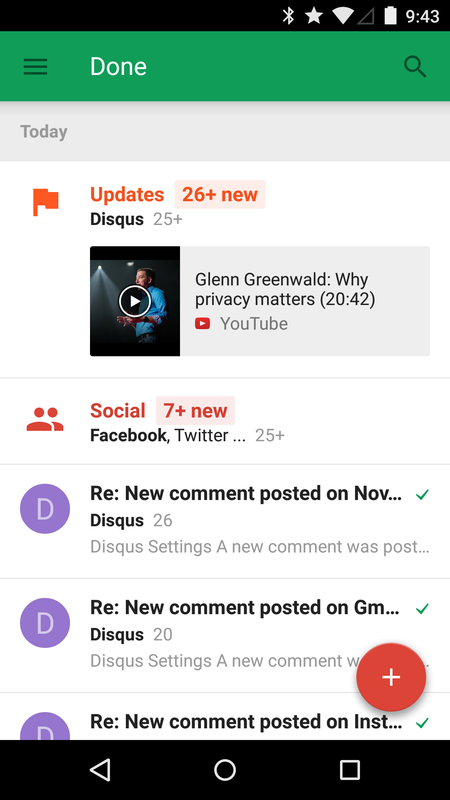 But as with the recent updates to Newsstand and other apps, Google is getting a little more consistent with its Material Design standard. 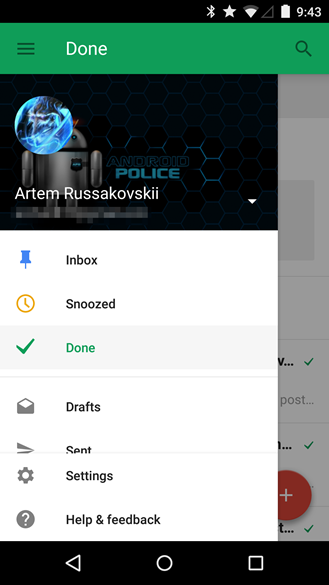 There don't appear to be any huge shifts in functionality in this update, though users with multiple email accounts will certainly appreciate at least one. Left: Inbox 1.0. Right: 1.1. One last thing: opening the menu and then sliding from left to right on the upper section, where your email address and personal profile image sit, will automatically scroll through multiple email accounts. If you have only one email connected it does nothing, if you have more than one, it switches Inbox to the next account and closes the menu. This is consistent with the design of Gmail 5.0. There may be other changes as well, especially beneath the hood, but so far we haven't seen any. 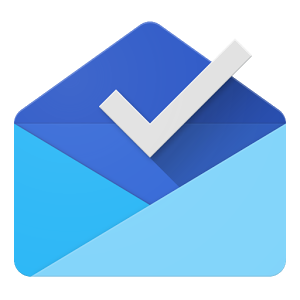 You still need an invitation from Google or a friend to access Inbox on Android and on the web.